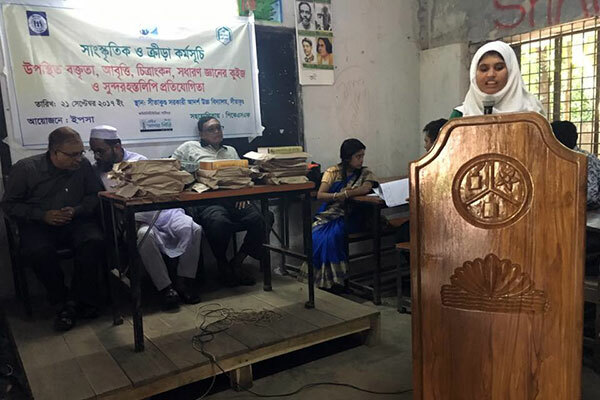 Extempore speech competition, poem recital competition, general knowledge quiz, drawing and handwriting competition were organized for the students of Sitakund Government Model High School on 21 September 2017, under the YPSA Cultural & Sports Program with the support of PKSF. 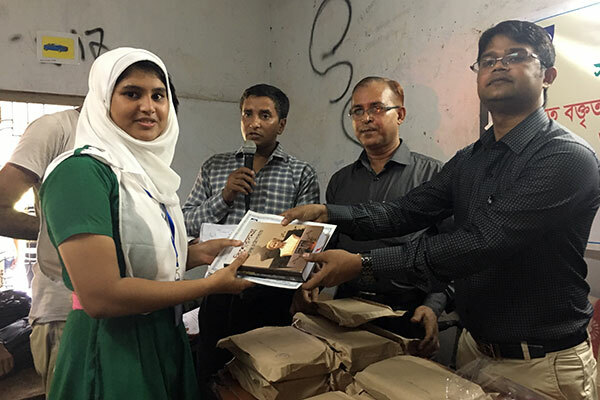 150 Students participated in the competition. 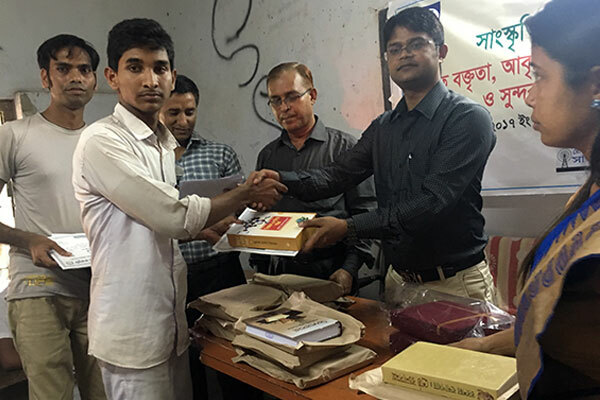 Nazmul Islam Bhuyan, UNO of Sitakund was present as chief guest and he handover the prizes to the winners. During the prize distribution ceremony, the guests said that lack of creative and mindful exercise besides academic education, adolescent and young people are involved with various negative activities and become misguided. Despite the economic progress of the country, many undesirable and unethical activities of the society are rising. Therefore, it is a timely step of YPSA for the youth to develop the competence of youths to enhance their morale and physical ability. 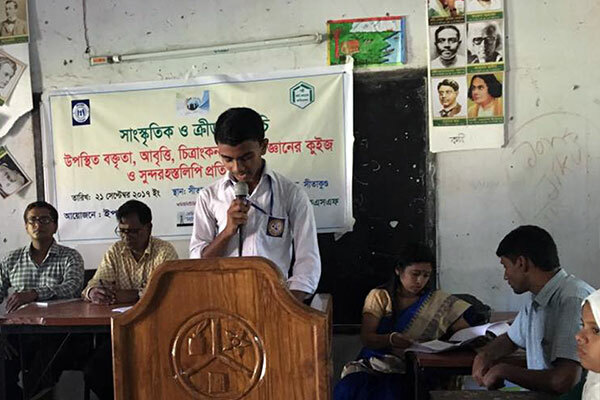 Amir Hossain, Head Master of Sitakund government model high school was preside the program and Mr. Ahsan Ullah Nizami and Mr. Dipok Chandra Assistant Teacher of the School; Mr, Sah Sultan Shamim, Station Manager of Radio Sagor Giri FF.99.2; Didarul Islam, Area manager, Mr. Sanjoy Chowdhury , Ms. Sheuly Rani of YPSA were present on the prize distribution program and Mr. Newaz Mahmud Coordinator of YPSA has facilitated the program.